^ a b c d e Cooper, N. J.; Murray, C. D.; Porco, C. C.; Spitale, J. N. (2006-03). “Cassini ISS astrometric observations of the inner jovian satellites, Amalthea and Thebe”. Icarus 181 (1): 223–234. Bibcode 2006Icar..181..223C. doi:10.1016/j.icarus.2005.11.007. ^ a b c d e f g h i Thomas, P. C.; Burns, J. A.; Rossier, L.; Simonelli, D.; Veverka, J.; Chapman, C. R.; Klaasen, K.; Johnson, T. V. et al. (1998-09). “The Small Inner Satellites of Jupiter”. Icarus 135 (1): 360–371. Bibcode 1998Icar..135..360T. doi:10.1006/icar.1998.5976. ^ a b c Simonelli, D. P.; Rossier, L.; Thomas, P. C.; Veverka, J.; Burns, J. A.; Belton, M. J. S. (2000-10). “Leading/Trailing Albedo Asymmetries of Thebe, Amalthea, and Metis”. Icarus 147 (2): 353–365. Bibcode 2000Icar..147..353S. doi:10.1006/icar.2000.6474. ^ a b c d Burns, Joseph A.; Simonelli, Damon P.; Showalter, Mark R.; Hamilton, Douglas P.; Porco, Carolyn C.; Throop, Henry; Esposito, Larry W. (2004). “Jupiter's Ring-Moon System”. In Bagenal, Fran; Dowling, Timothy E.; McKinnon, William B.. Jupiter's Ring-Moon System. Cambridge University Press. 241–262. ISBN 978-0-521-81808-7. http://www.astro.umd.edu/~hamilton/research/preprints/BurSimSho03.pdf. ^ a b Anderson, J. D.; Johnson, T. V.; Schubert, G.; Asmar, S.; Jacobson, R. A.; Johnston, D.; Lau, E. L.; Lewis, G. et al. (2005-05-27). “Amalthea's Density is Less Than That of Water”. Science 308 (5726): 1291–1293. Bibcode 2005Sci...308.1291A. doi:10.1126/science.1110422. PMID 15919987. ^ Takato, Naruhisa; Bus, Schelte J.; Terada, H.; Pyo, Tae-Soo; Kobayashi, Naoto (2004-12-24). “Detection of a Deep 3-μm Absorption Feature in the Spectrum of Amalthea (JV)”. Science 306 (5705): 2224–2227. Bibcode 2004Sci...306.2224T. doi:10.1126/science.1105427. PMID 15618511. ^ Simonelli, D. P. (1983-06). “Amalthea: Implications of the temperature observed by Voyager”. Icarus 54 (3): 524–538. Bibcode 1983Icar...54..524S. doi:10.1016/0019-1035(83)90244-0. ISSN 0019-1035. ^ Burns, Joseph A.; Showalter, Mark R.; Hamilton, Douglas P.; Nicholson, Philip D.; de Pater, Imke; Ockert-Bell, Maureen E.; Thomas, Peter C. (1999-05-14). “The Formation of Jupiter's Faint Rings”. Science 284 (5417): 1146–1150. Bibcode 1999Sci...284.1146B. doi:10.1126/science.284.5417.1146. PMID 10325220. ^ Fieseler P. D.; Adams O. W.; Vandermey N.; Theilig E. E.; Schimmels K. A.; Lewis G. D.; Ardalan S. M.; Alexander C. J. (2004). 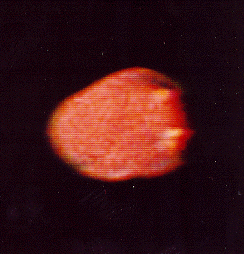 “The Galileo star scanner observations at Amalthea”. Icarus 169 (2): 390–401. Bibcode 2004Icar..169..390F. doi:10.1016/j.icarus.2004.01.012. ^ Another Find for Galileo. Jet Propulsion Laboratory. (2003-04-09). オリジナルの2004-11-04時点によるアーカイブ。. https://web.archive.org/web/20041104163021/http://www.solarsystem.nasa.gov/galileo/news/display.cfm?News_ID=4939 2012年3月27日閲覧。.